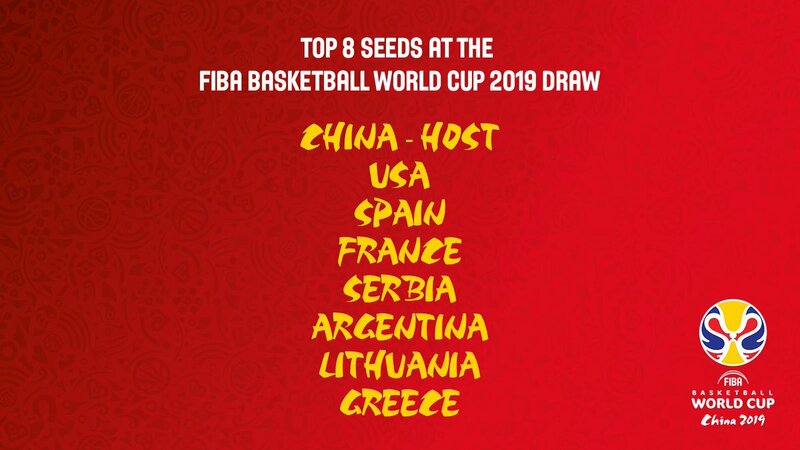 Eight seeded teams for FIBA Basketball World Cup 2019 draw, including host China, have been confirmed after FIBA updated its World Ranking Men on Tuesday following the conclusion of World Cup Qualifiers. The latest ranking serves as the basis to determine the seeds and pots for the draw of the first-ever 32-team World Cup. The World Cup draw will be held in Shenzhen, China on March 16. China is joined by the seven best-ranked qualified teams, namely the United States, Spain, France, Serbia, Argentina, Lithuania and Greece. The world's top nine teams remain unchanged. Russia moves up to complete the top 10 due to its 2-0 record during the final window of the European Qualifiers, while Australia slumps to 11th. China ranks 30th. The FIBA Basketball World Cup 2019 will be held in Chinese cities of Beijing, Guangzhou, Nanjing, Shanghai, Wuhan, Shenzhen, Foshan and Dongguan from August 31 to September 15, the first time ever for the tournament to arrive at the world's most populous country. FIBA said that its World Ranking Men will next be updated following the conclusion of the FIBA Basketball World Cup 2019.